My task this morning was to do the laundry. 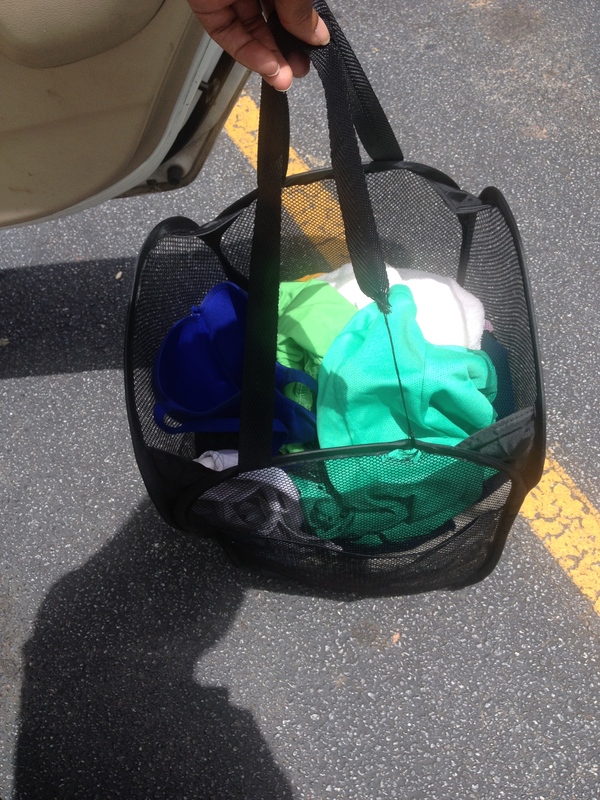 The bag overflowing with clothes cued me that this routine chore was overdue. I grabbed the detergent, clutched the laundry bag, and walked out. I took several steps in the direction of my car, but realized that the bag may not survive the entire trip. It was literally hanging by a thread! The irony of my current situation was that at various points in the last month, I felt like I was hanging by a proverbial thread. There were many days during the months of May and June where I felt frustrated, disappointed, and fed up! Maybe it was the agony of waiting for dreams deferred to come true. Or maybe it was that wicked bout of food poisoning followed by a week of bronchial wracked coughs. Whatever it was, I knew I felt like quitting – just throwing in the towel. But I was rescued by a consistent support team of family and friends, who continued to believe in me even when my vision became so foggy that I could no longer believe in myself… With their encouragement I forged ahead and I began to find the strength to attend to the things I had sorely neglected during my weeks of pity, agony, illness, and despair. Accepting this lesson was a monumental step for me, as I always prided myself for doing things my way, independently and without the assistance of others. However, I’ve come to realize that the truly successful don’t make it to the top because of sole might. Instead their journey was made possible because of knowing when and whom to reach out to for help. It’s nice to know that in this season of my life wracked with difficulties, I am planted amongst a group of family and friends determined to see me thrive!